DNA methylation has once been called the '5th DNA base' due to its importance in gene regulation, and has been studied for decades. With the advent of next-generation sequencing (NGS) methylation has been studied on a genome-wide level, an expensive process requiring both generating sequence data and analyzing sequence data many orders of magnitude higher than what a typical clinical laboratory can handle. Targeted methylation approaches have historically not been developed due to technical hurdles. Singlera announces a unique approach, examining methylation haplotypes (adjacent methylation sites on the same contiguous strand of DNA) from cell-free DNA as a method for cancer biomarker detection. By using a highly specific and targeted methylation enrichment method, both the overall sample input requirement is lowered and the overall amount of sequencing necessary for excellent sensitivity is reduced. Efficient biomarker screening technology coupled with fast custom targeted methylation haplotyping and proprietary bioinformatics analysis. Take a closer look at our leading-edge research in methylation and its role in disease in top research publications. Learn how Singlera’s methylation haplotyping technology can give better cancer biomarker sensitivity. Learn more about our two assays, PanSeer to detect several cancer types, and ColonES that specifically detects colorectal cancer markers with high sensitivity and specificity. Do you see promise in our methylation haplotype approach? Do you think it could complement work you are doing in developing in-vitro diagnostics for cancer? 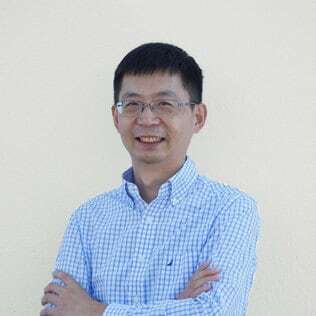 Dr. Yuan Gao is an innovator of translational technologies for next generation sequencing, non-invasive prenatal testing (NIPT), DNA methylation sequencing, and digital information storage in DNA. He is also a founder and President of Med Data Quest, Inc., developing clinical natural language processing and machine learning tools to aid precision medicine. He has a Bachelor of Bioscience from Beijing University, a Ph.D. in Computer Science from the Memphis University, completed his post-doctoral training with George Church at Harvard University, and most recently was an Associate Professor at Johns Hopkins University. 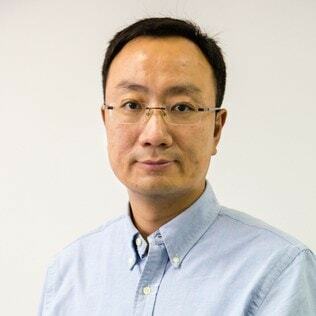 Dr. Zhang is recognized for multiple achievements including single-cell whole genome sequencing, targeted DNA methylation sequencing, somatic genomic instability in induced pluripotent stem cells, Microwell Displacement Amplification System (MIDAS), and methylation haplotyping technology for non-invasive detection of ctDNA. Dr. Zhang holds a Ph.D. in Human and Molecular Genetics from the University of Texas Houston, completed his post-doctoral training with George Church at Harvard Medical School, and has a B.S. in Biophysics from Fudan University. He currently is a Professor in the Dept of Bioengineering at UCSD. 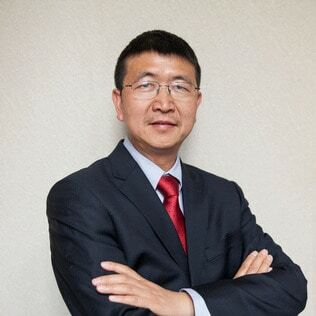 Johny Zhang was previously the Vice President/General Manager for Greater China Thermo Fisher Scientific Healthcare, where he was awarded the annual global CEO award for outstanding performance. During his tenure at Gene Company, Ltd, Mr. Zhang introduced numerous molecular diagnostic technologies into China, including Dako IHC, Abbott FISH, Qiagen Nucleic Acid Detection, and Affymatrix Gene Chip. 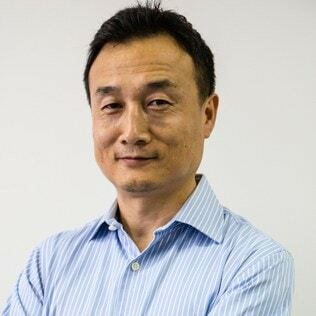 Mr. Zhang co-founded and was COO of www.ebiotrade.com, the first Chinese universal life science website of its kind. Mr. Zhang received his MBA and B.S. in Biochemistry from Fudan University. Dr. Liu first demonstrated ultra-low input RNA sequencing and whole-genome bisulfite sequencing in germ cells with Dr. Yi Zhang at Harvard University. She then developed large-scale single-cell RNA sequencing technology for the NIH Single Cell Analysis Program (coordinating laboratories at UCSD, Scripps Inst. and Illumina Inc.) to systematically map single-neuron RNA expression. Dr. Liu received a Ph.D. in Genetics from the Univ of Pennsylvania and did her post-doctoral work with Dr. Kun Zhang at UCSD. 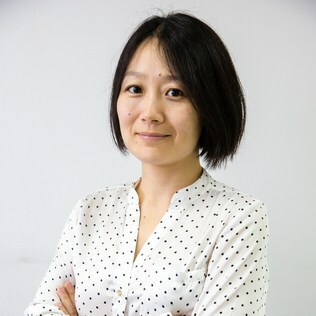 She also has a Bachelor’s degree in Clinical Medicine from Peking University and a B.S. in Biophysics from Fudan University. At the leading edge of biology and assay technology, Singlera Genomics uses a new biomarker type called ctmDNA (circulating tumor methylated DNA) to peer into the future.